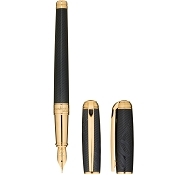 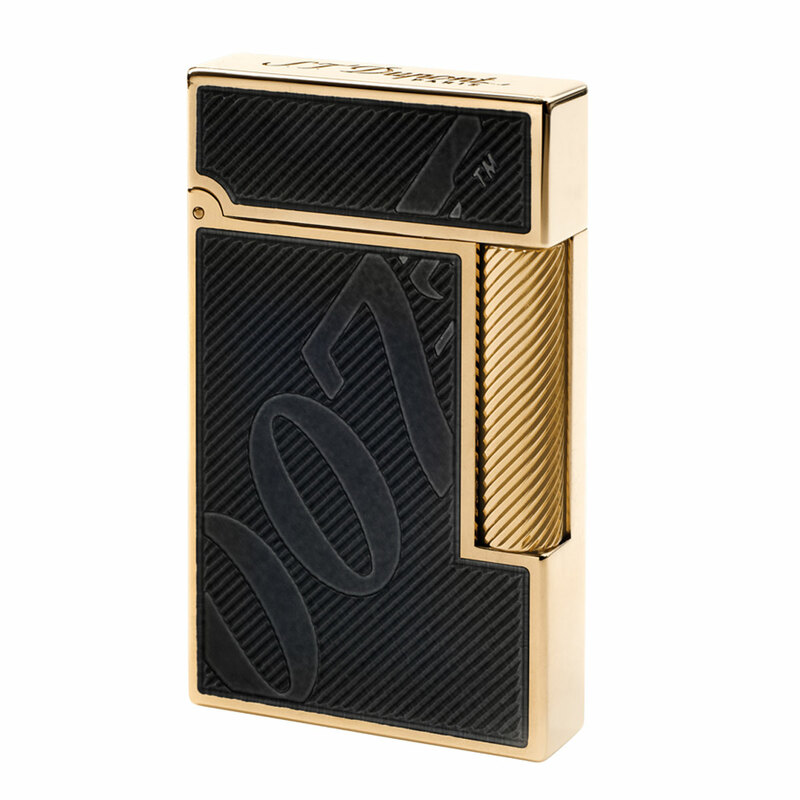 James Bond 007 Limited Edition Lighter with yellow gold guilloche under black natural lacquer finish. 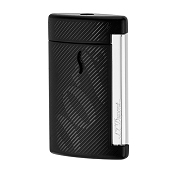 The 007 iconic Line 2 lighter offers the exclusive know how of master lacquer with its exceptional guilloche under natural black lacquer which gives a very particular reflection to the secret number. 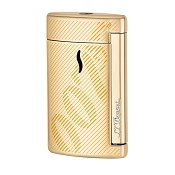 The pale gold finishes enhance this beautiful soft flame lighter, together with its S.T. 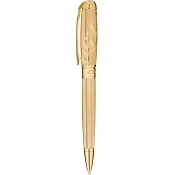 Dupont signature engraved on the top.